Appreciation for North Korea has spread in recent years. Matthew Heimbach, an organizer of the Charlottesville rally just released from jail two week ago for a separate assault, said that “North Korea is a nation that stands against imperialism and globalism around the world.” And he believes it does so on racial grounds. “The very identity of the nation comes from an actual national socialist perspective, specifically also deriving elements from Japanese fascism,” he said. The assessment borrows from B.R. Myers’ book, The Cleanest Race: How North Koreans See Themselves and Why It Matters, which says the 35-year-long Japanese occupation led Koreans to organize society around their own racially superior self-image. Hence, North Korea’s birth as an Alt-Right symbol of The Resistance. David Duke, who is regarded as an elder statesman by the Racialist Right, has offered support ranging from the innocuous to the indefensible. One of the growing number of articles on Duke’s website devoted to the subject states that Israeli manipulation is “the real reason” for hostilities between the U.S. and North Korea. Another implies that the late Otto Warmbier was an Israeli spy. Others have joined his chorus of North Korean apologetics. 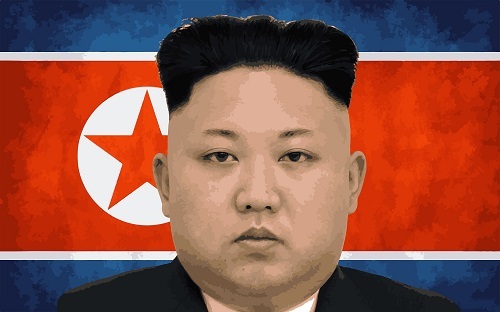 Essentially I admire North Korea because it is in direct opposition to the hostile ruling elite in the West and the globalist destruction of distinct peoples and nations. Such devotion can spin the nation’s foremost problem into an asset. The article listed among its “Reasons to admire North Korea” the nation’s reportedly high average IQ and its pandemic starvation. As many as 2.5 million North Koreans starved to death during the 1990s. Presently, 10.5 million North Koreans are “undernourished,” 28 percent of children under five have their growth stunted, and 4.4 million citizens are in a state of “crisis, emergency and famine.” Yet North Korea’s military budget is an estimated one-quarter of its GDP – and both the Korean People’s Army and Kim Jong Un appear well-fed. These are not sacrifices willingly undertaken to secure their independence but deprivations ruthlessly imposed to maintain their enslavement. The same aim lies behind the cult of personality, which attributes magical powers to successive incumbents of the Kim dynasty. This, too, the Alt-Right is willing to countenance, because the cult replaces other ideologies…and religions. “Nothing North Koreans believe comes close to matching the absurdity of Christianity, Marxism, Freudism, Diversityism, feminism or racial egalitarianism,” wrote Richard Hoste in his review of Myers’ book for Counter Currents. Similar hostility to the modern world has forged an intellectual, if not ethnic, kinship between North Korea and the Alt-Right. Should the peninsula reunite and “choose to reject all aspects of multiculturalism I will be the first ones [sic] to cheer them on,” Hoste wrote. The Alt-Right’s embrace of North Korea shows how far from reason their cocktail of fervid racialism, obscurantism, and anti-capitalism can take them. For a more accurate view of North Korea, see here, here, here, here, and here.